Wages are finally rising. Unemployment is the lowest it's been since 2007. Inflation remains muted. But 31% of American adults, or 76 million people, say they are struggling to get by or just barely making it, according to the Federal Reserve Bank's latest survey on Americans' economic well-being, which looked at 2015. And that's actually good news. Two years earlier, the Fed found that 38% of Americans were in weak financial shape. Seven years after the end of the Great Recession, millions of Americans have yet to find firm financial footing. 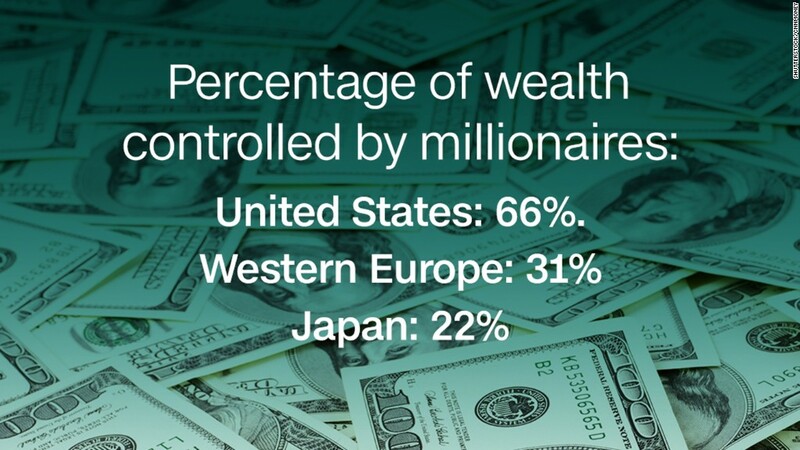 That's one reason why the economy remains a top concern in the 2016 presidential election. "It's important to identify the reasons why so many families face continued financial struggles and to find ways to help them overcome them," said Federal Reserve Board Governor Lael Brainard. While lower income Americans said they'd have the toughest time handling this emergency charge, some 38% of middle class Americans reported they'd have trouble too. 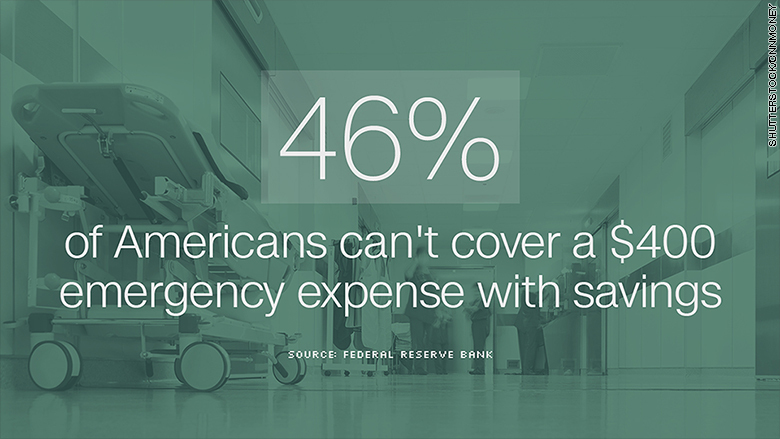 Even 19% of those raking in over $100,000 a year said they couldn't pay the bill promptly. About one-third of Americans also say that their income varies month-to-month, mainly because they have an irregular work schedule. Some 45% say their expenses shift each month. Some 42% of those with these volatile income streams or expenses say they struggled to pay the bills at least once in the past year. Many Americans want to work more or are already holding down multiple jobs. Some 35% of those who are not self-employed said they'd prefer to work more hours (at their current wage). This was particularly true of lower-income respondents, non-Hispanic blacks, younger folks, Hispanics and and those with less education. And though wage growth began picking up last year, only 23% of those surveyed felt their income would be higher in the coming year. That's down from 29% last year. When it comes to savings, the picture is mixed. 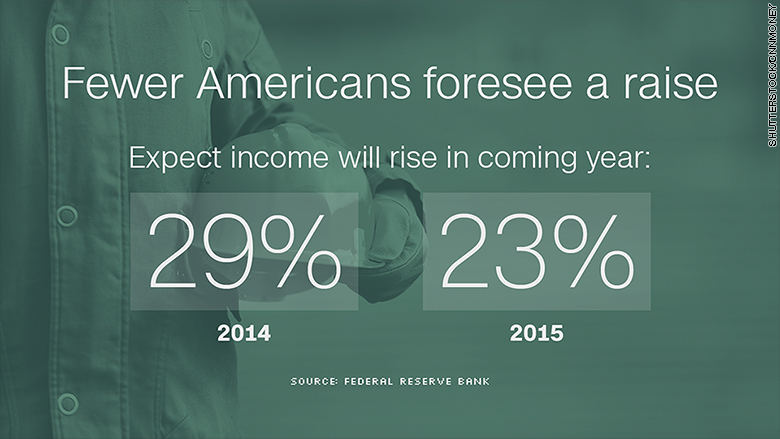 Nearly half of Americans spend less than their incomes. That savings rate is 9 percentage points higher than it was two years ago. But nearly one-third of non-retired adults have not socked away anything for their Golden Years nor do they have a pension. This includes 27% of those age 60 and older. This is probably why many Americans plan to continue working when they hit retirement age. 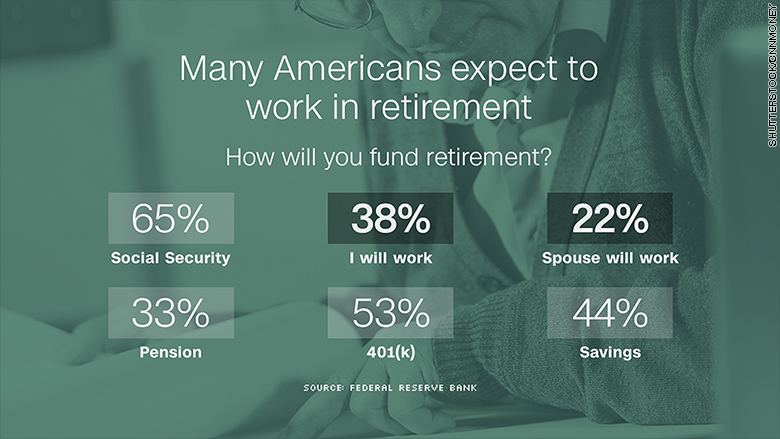 Some 42% expect to either retire at age 70 or older or to never retire. Also, 38% expect to work in retirement to give them a source of funds, and nearly 22% think their spouse or partner will work. The report had a few bright spots, including more adults saying they were living comfortably or doing okay and the greater rate of savings. Also, just over half of Americans felt that their home value increased over the past year and 43% expect it to increase in the coming year.